Los Campesinos! New track! “Avocado, Baby”! Welsh ensemble Los Campesinos! are not ones to waste time, are they? The band are set to release their fifth full length album in just short of six years with “No Blues“. 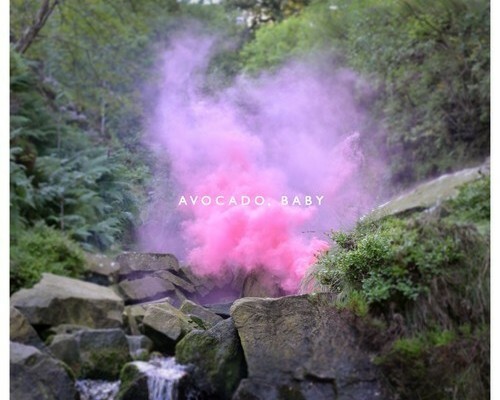 The latest offering from the new record, “Avocado, Baby” is more of what we love about the bratty twee-poppers: anthemic buildups and lyrical idiosyncrasies that fall just short of frenzy. The band are compositionally only getting more efficient, which can be noted with the track being sprinkled with breakdowns that end with the foot being slammed back on the accelerator. There’s much of what could be called their trademark on this song, but with such unique lyrical content and at such a near-derailing pace, it’s tough not to appreciate what Los Campesinos! have created for themselves over the past half-decade. Listen to “Avocado, Baby” here, and preorder “No Blues”, set for release on October 29. There Are Listed Buildings from Los Campesinos! on Vimeo. This one’s the first single off the upcoming sophomore album Romance is Boring (January 26, 2010 on Arts & Crafts). Look for the single available digitally on Nov. 3rd (’09). Tonight I finally found a place for everything that I got in my stocking this past Christmas. I now have more red and blue pens than I’ll ever need. and a huge orange. just sitting there looking all tasty. I keep notes from time to time on my blog (or within the inner workings of it) on bands that are making music that seems interesting to me. Trouble is, I can’t always just pump out a post and really get out what I’d like to say. I have to let it stew and come back to it. Tonight, I thought I’d see what I could come up with. I probably heard about Sky Larkin from Nothing But Green Lights, one of the more popular UK blogs out there. And for good reason, there’s a solid three-piece here. 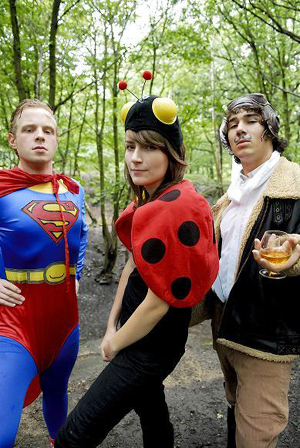 The band hails from the UK, formed by ‘two old friends and one newer one from Leeds’ (Katie, Nestor and Douglas). In the past they’ve opened for BSS, The Gossip and The Organ, future dates look to be opening slots for UK buzz band Los Campesinos. I believe their strongest, or best sounding song is One Of Two, which you can stream on their myspace page. Found a video too. Audio doesn’t sound great (camera), but you get the idea. This band would probably be a good show to check out. Click here to download Sommersault Notes.